Amazing opportunity to own an idyllic lot on a quiet block in Petworth. Current owners renovated in 2005 and updated many of the systems, but there's plenty of room to customize to your taste. Improvements include central air conditioning and new boiler, radiator heat. Updated kitchen features stainless steel appliances and cherry cabinets. Oak hardwood floors throughout are in great shape and will glow when refinished. The main level has the convenience of a half bath and a sunporch out back. 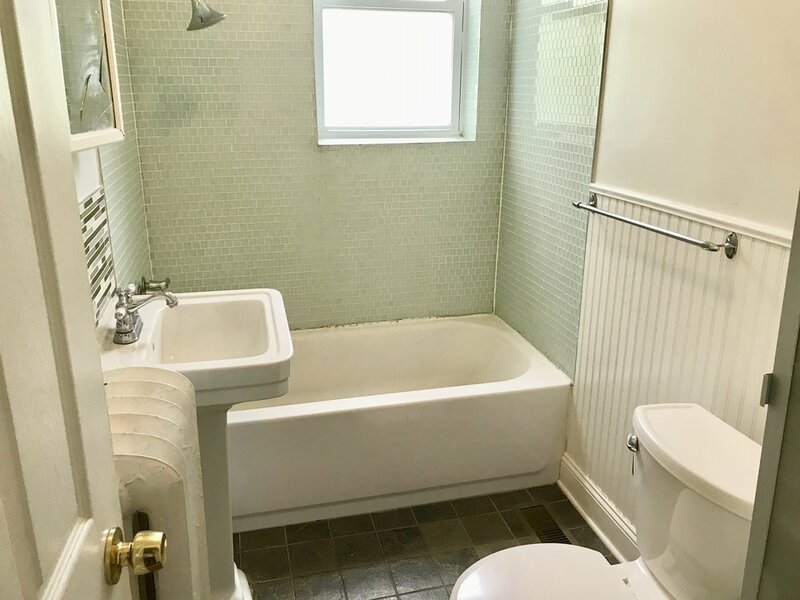 Upstairs are three bright bedrooms and a renovated full bath with tub. The basement is finished with a white tile bathroom with shower. The one car garage can easily be converted into a bedroom if desired. Outside there's a driveway, stone patio, and a fenced-in side yard with mature plantings providing privacy and beautiful views.